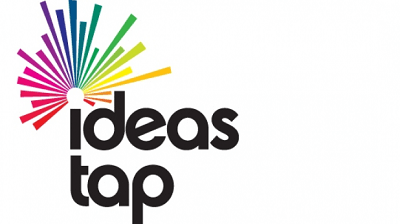 This week, the UK arts scene suffered yet another blow as IdeasTap, a free website funded by Arts Council England, announced that they are closing in June. Since the website opened in 2008, IdeasTap have operated on a not-for-profit basis, dedicated themselves to helping young people find their way into work in the cultural industries. To date, the website has tallied up over 200,000 subscribers, many of whom have benefitted from free job listings, funding opportunities and training that the website offers. On a more personal note, it was only a few months ago that I found myself shortlisted for a brief which was the most exciting opportunity that I had seen since embarking on a career in the arts just over a year ago (no, I didn’t win it – but that’s beside the point). The answer is, of course, unsurprising: lack of funding. And, sadly, IdeasTap is only the latest in an ever-growing list of arts organisations to struggle in the face of funding cuts. In fact, the face of the arts in the UK becomes bleaker by the day. Arts funding in schools is being slashed in favour of more ‘academic’ and ‘rigorous’ subjects – a legacy we can thank Mr Gove and associated OxBridge graduates for. Local arts scenes are failing whilst well-established money-spinners continue to rake in the cash (the ‘mega-musical’ is riding especially high, with tickets in the West End soaring in 2013). With recent figures showing that banker’s bonuses have reached almost £100 billion since the financial crisis started in 2007, it’s fairly sickening to think that those responsible for the recent financial crisis are profiting whilst there is ‘insufficient funding’ for independent organisations championing the arts (forgive me for sounding like Russell Brand – he has terrible hair, but he also has a point). So why are the cultural industries becoming increasingly marginalised? What possible justification could there be for cutting funding to organisations which have a proven track record of helping young people find work (IdeasTap have helped over 62,000 people find work since opening their doors in 2008)? And, more importantly, when will the arts be considered as equal to other subjects and other pursuits of employment? Perhaps part of the problem lies in fact that there are those who dispute the value of the arts to our society. After all, why does the arts deserve championing financially in a time when front-line services such as the NHS, police force and fire brigade are suffering similar devastating cuts? Whilst I’m not for a moment suggesting that front-line services are deserving of cuts, there is arguably no other industry which enriches our lives in the way that the arts does. Paintings hanging on the wall in restaurants; music playing mostly unheard in noisy bars; or, on a larger scale, buildings that we walk past everyday almost without really looking at them. Whatever you work as, whatever your way of life, art and creativity are important parts of our collective consciousness and, ultimately, our cultural landscape. Without creativity, the world would be a duller place. And without those who work in the arts, creativity cannot be nurtured. Still need convincing? How about the document released by Arts Council England last year which reported that people who work in the arts are 60% more likely to report good health. As someone who has recently embarked on a career in the arts – previously I have worked on the teaching front line, in the grey-blankness of offices and the murky depths of fashion retail – I know this better than anyone. I’m broke; very broke. In fact, over the last year I’ve made a grand total of around £300. But, although it is entirely a personal choice, would I go back to the unhappiness of any of my former short-lived careers, where I found my creativity stifled in favour of targets, or deadlines, or sales figures? Nope. Not for the world. As if the cultural and personal benefits weren’t enough, it was only a year ago that a document released by Gov.uk reported that UK cultural industries are worth £70 billion per year to the economy. This is, on the face of it, clear evidence in support of the worth of our cultural industries – and yet in the face of this figure you can’t help but ask: why are we being peddled statistics detailing the ‘success’ of the arts whilst, when our backs are turned, funding is being quietly withdrawn from organisations that are facilitating artists up and down the country? Take IdeasTap, for instance: artists all know how important networking is – and IdeasTap is, at the heart of it, a source of valuable information and networking. Without these opportunities, how can artists be expected to work, and therefore to feed into the eceonomy? How can we maintain an industry that is purportedly worth £70 billion per year? And whilst many artists will (and do) work simply for ‘the love of art’, does that make it acceptable that there are so few opportunities for paid work in the arts industry? (This is, incidentally, an issue currently being tackled by organisations such as CidaCo). Secretary of State for Culture Maria Miller comments that ‘We are committed to ensuring that the energy, innovation, skills and talent existing in this dynamic sector continues to translate into economic success, and provide a remarkable platform from which, we can showcase Britain to the world’. But as any member of IdeasTap will profess today, it certainly doesn’t feel that there is any ‘commitment’ on the part of the government to continue supporting the arts. The arts are, indeed, ‘remarkable’ – and yet what how can the arts arts possibly survive if not supported financially by those in power? I find this article littered with questions – most of them without answers. But questioning, probing and objecting is, for the moment, all we can do. If there’s one positive in all this doom and gloom, it’s this: IdeasTap is not going down without a fight. In the days since the announcement, a group called Save IdeasTap has sprung up on Facebook. In its first hour, the page received 700 likes; this figure shot up to over 5,000 within a matter of hours and continues to rise. The news of the organisation’s demise has served to galvanise the artistic community – but it’s a fight that is far from over. If you work in the arts, if you want to work in the arts, if you know someone who wants to work in the arts – please help to support IdeasTap before it is allowed to fade into the ether. It will be a sad day if resources such as this are taken away from those of us trying to make our way as artists. Support the campaign via Facebook, the mailing list and Twitter (#SaveIdeasTap).